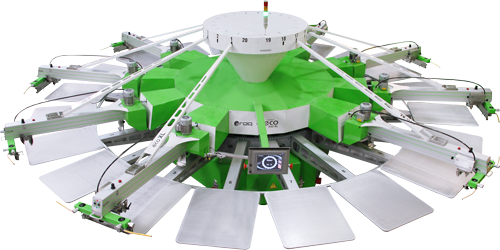 The Roqprint ECO is the top of the line of our catalog for carousel type automatic screen printing machines. This automatic screen printing machine is a working beast. Fast, silent, user friendly, safe, environment friendly, up to 18 colors, independent head elevation system that makes it the best machine in the market to work with water-based inks, not losing any performance when working with plastisols. Boosts a tremendous speed with an infallible registration and low maintenance. Thank you for your interest in the ROQ ECO printer. 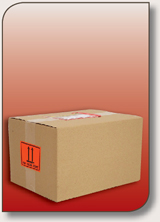 This page is under construction, please check back soon or call 1300 196 156 for product information.